It sounds like something from a science-fiction novel or a disaster movie. A hidden city under ice, housing 200 people, complete with hospital, cinema, church and research labs – and powered by a mini nuclear reactor. In fact it is reality and lies below the ice of north-west Greenland. The building of Camp Century was started in 1959, by US army engineers. 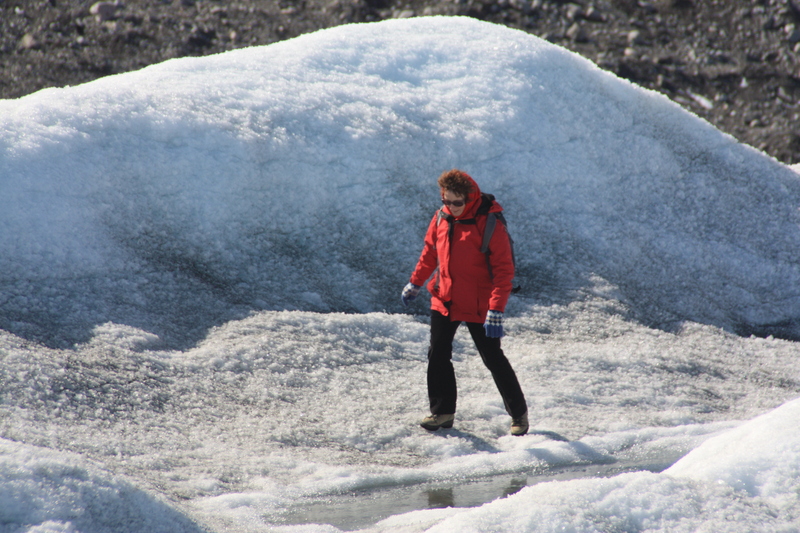 The camp was abandoned when the glacier above turned out to be shifting much faster than expected in 1967, threatening to crush the tunneled base below. Pollutants including PCBs, tanks of raw sewage and low-level radioactive coolant from the nuclear reactor were left behind. “When the waste was deposited there, nobody thought it would get out again”, William Colgan, an assistant professor in the Lassonde School of Engineering at York University in Canada, told AFP. Colgan is co-author of a study published in August: Melting Ice could release frozen Cold War-era waste. Unfortunately, recent research results have told us that the ice island of Greenland is melting even faster than previously thought. 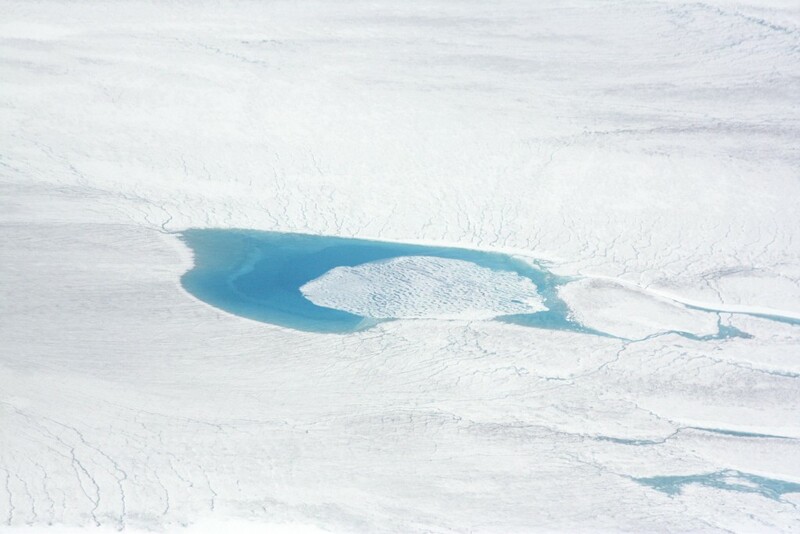 A new study published this week in the journal Science Advances using GPS to help estimate how much Greenland ice is melting, comes to the conclusion it is losing around 40 trillion pounds more ice a year than scientists previously thought. That is around 7.6 percent of a difference. 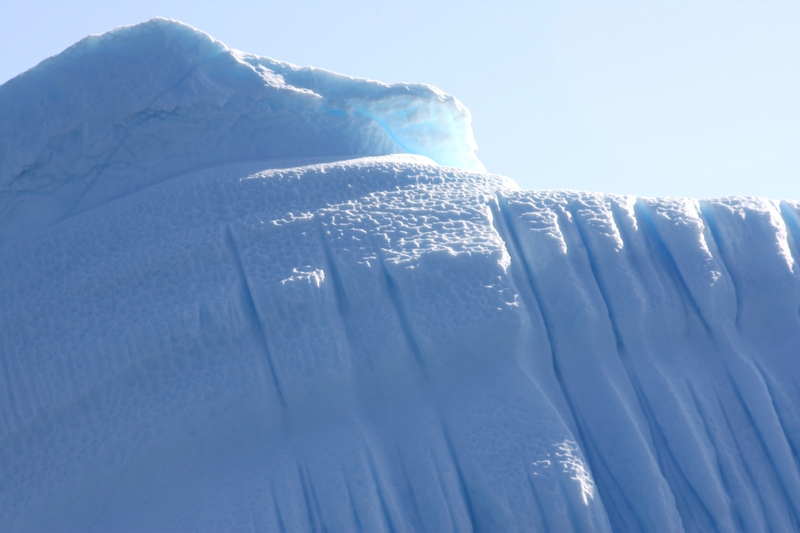 Most measurements of ice sheet loss use a satellite that measures changes in gravity, and uses computer simulations to calculate the weight loss of ice. But co-author Michael Bevis of Ohio State University told the news agency AP that a portion of the mass calculated by the satellite as ice mass, is actually made up of rocks, which rise up to replace the ice when it goes. This distorts the picture, giving the impression there is more ice than there actually is. Coming back to Camp Century – here, and elsewhere in the “frozen North”, a lot of the perils once locked safely inside an icy safe are now lurking ready to emerge when the time comes. Colgan led a study published in August in the journal Geophysical Research Letters, which found that higher temperatures could eventually result in toxic waste from the base being released into the environment. By 2090 the amount of ice melting may no longer be offset by snowfall, meaning the toxic chemicals could start leaking into the environment, the study found. 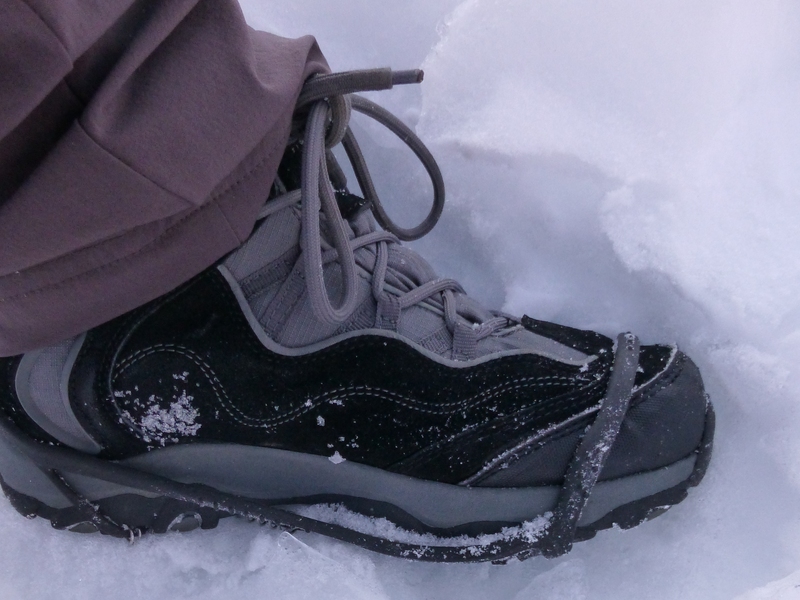 Even before that, fissures in the snow could lead to melt water seeping into the crushed tunnels, currently located just 35 metres below the surface. This is just one spectacular example of a problem that is widespread across the Arctic. Anthrax spores, nuclear waste from subs and reactors … and these are only the human-made dangers. 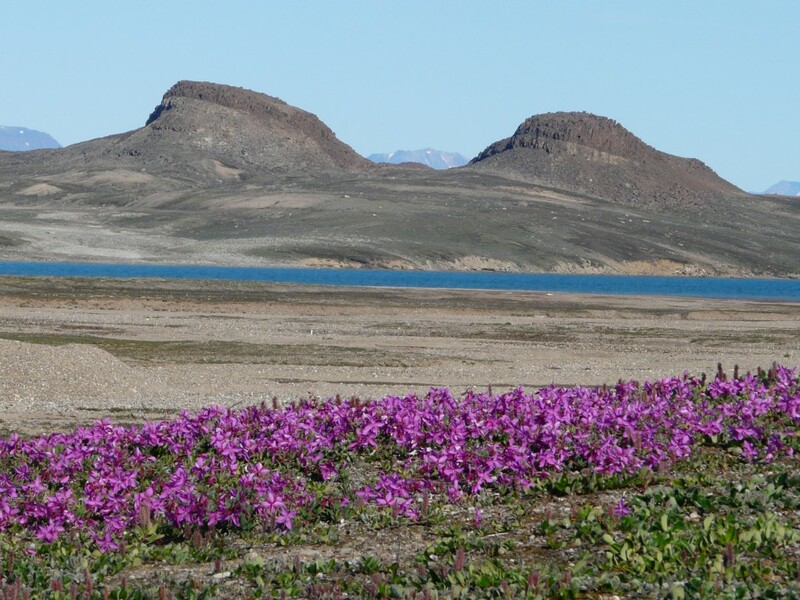 The permafrost is sometimes described as a “time bomb”, with masses of methane and carbon stored as part of natural processes coming to the surface as the world warms. The news story on AFP centres on who is responsible for cleaning up the pollution from the under-ice camp. The USA and Denmark signed a treaty to permit the construction of Camp Century, code-named “Project iceworm”. 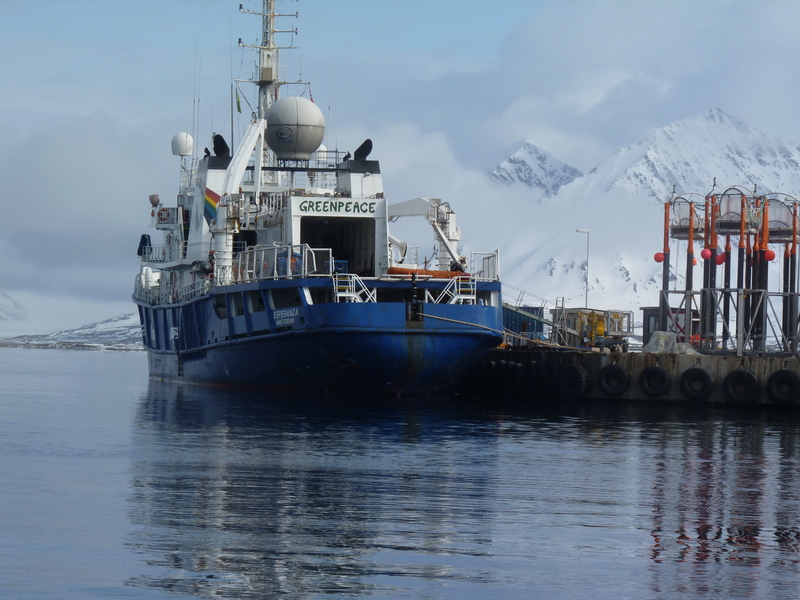 Officially, it was to provide a laboratory for Arctic research projects. AFP says it was also home to a “secret US effort to deploy nuclear missiles”. Maybe it was lucky the project had to be abandoned in 1967. But the legacy remains in the form of the nuclear waste left buried under the snow when the reactor was removed. Study author William Colgan believes the physical logistics of decontaminating the site may not be the biggest challenge involved in all of this. “The environmental hazard is relatively small and far away and there are only a few native towns close by”, AFP quotes. I was shocked by this statement, which seems to imply that we don’t need to worry about “a few native towns”. I hope I have misunderstood him here. Surely the lives of these small communities should have top priority? Colgan says the dispute over responsibility “could help set a precedent for other conflicts arising from climate change”. Now that is a very worrying prospect. Unfortunately, it is also a highly realistic one. 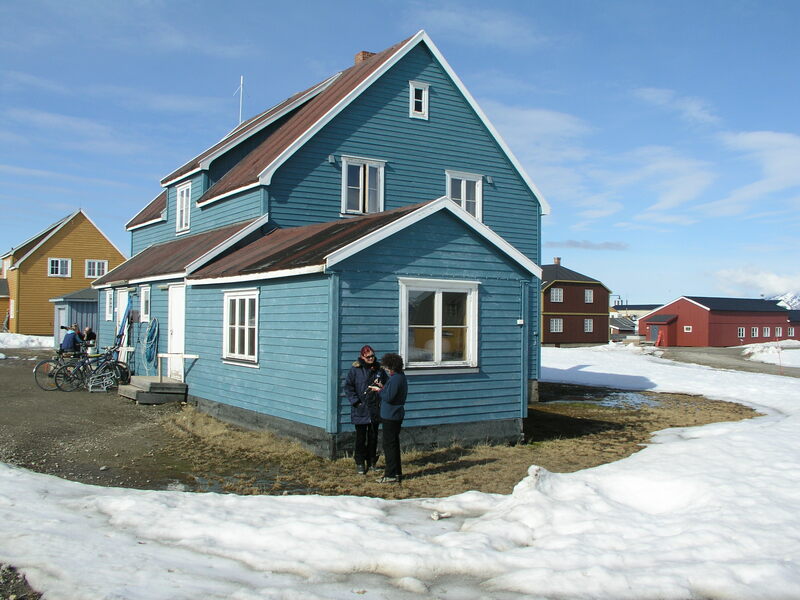 When it comes to accepting responsibility for the climate change which is speeding up the melting of Greenland’s huge ice-sheet – and taking action to halt it by abandoning fossil fuels – conflicts are virtually pre-programmed. When it comes to the costs of dealing with the migration of people forced out of their homes by sea-level rise, flooding, drought, and of ensuring progress for developing countries without climate-harming fossil fuels, states are unlikely to be queuing up to foot the bill. As I write this, I am sitting in a short-sleeved shirt with the window open, enjoying an unusually warm start to the month of May. It’s around 27 degrees Celsius in this part of Germany, pleasant, but somewhat unusual at this time. The first four months of this year have been the hottest of any year on record, according to satellite data. 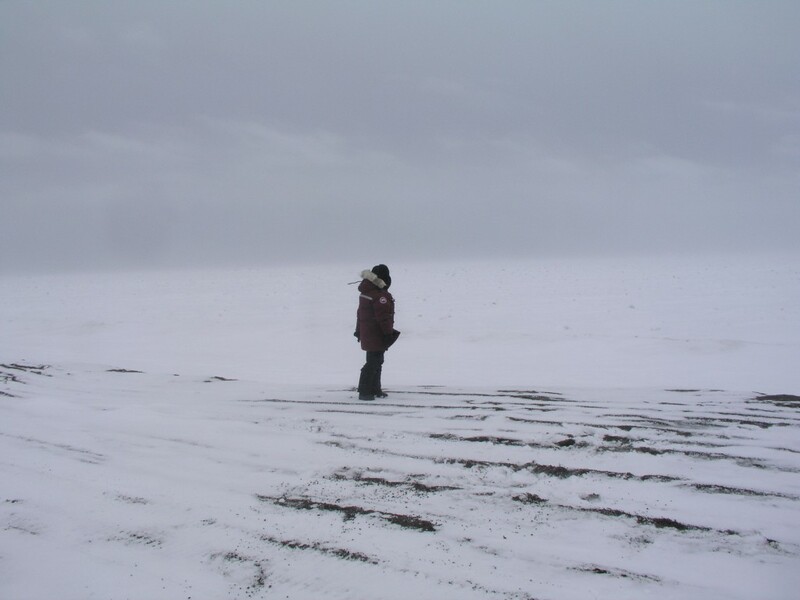 The Arctic is not the first place people tend to think of when it comes to explaining weather that is warmer – as opposed to colder – than usual in other parts of the globe. 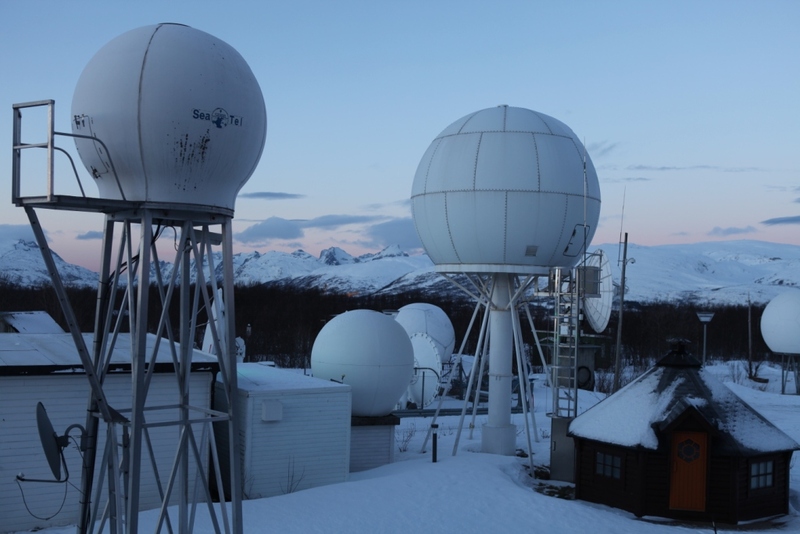 But several recent studies have increased the evidence that what is happening in the far North is playing a key role in creating unusual weather patterns further south – and that includes heat, at times. The Arctic has been known for a long time to be warming at least twice as fast as the earth as a whole. As discussed here on the Ice Blog, the past winter was a record one for the Arctic, including its sea ice. 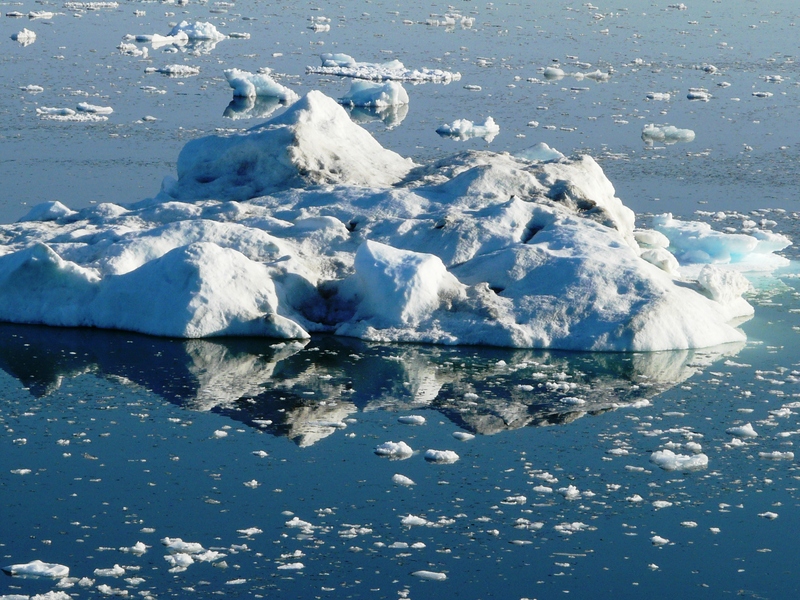 The winter sea ice cover reached a record low. 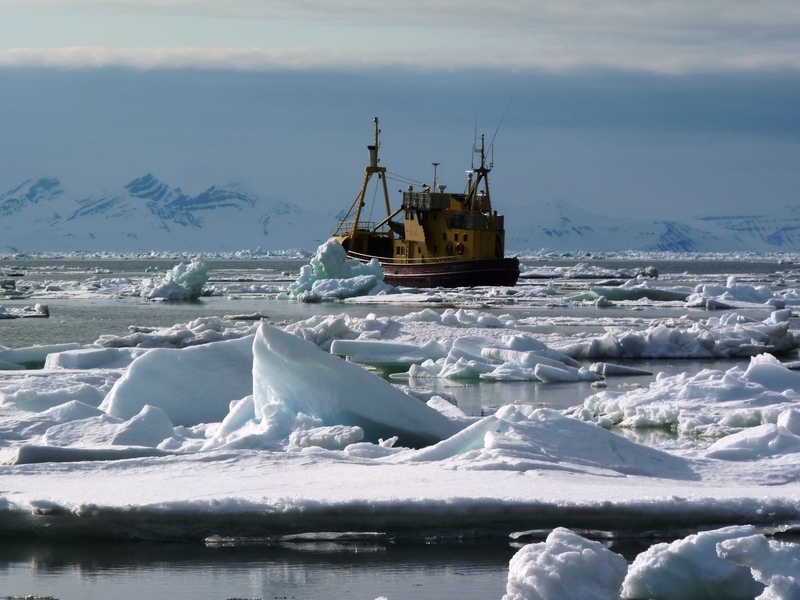 Some scientists say the prerequisites are in place for 2016 to see the lowest sea ice extent ever. Several recent studies have increased the evidence that these variations in the Arctic sea ice cover are strongly linked to the accelerating loss of Greenland’s land ice, and to extreme weather in North America an Europe. “Has Arctic Sea Ice Loss Contributed to Increased Surface Melting of the Greenland Ice Sheet”, by Liu, Francis et.al, published in the journal of the American Meteorological Society, comes to the conclusion: “Reduced summer sea ice favors stronger and more frequent occurrences of blocking-high pressure events over Greenland.” The thesis is that the lack of summer sea ice (and resulting warming of the ocean, as the white cover which insulates it and reflects heat back into space disappears and is replaced by a darker surface that absorbs more heat) increases occurrences of high pressure systems which get “ stuck and act like a brick wall, “blocking” the weather from changing”, as Joe Romm puts it in an article on “Climate Progress”. He quotes co-author Jennifer Francis of Rutgers University, New Jersey, explaining how these “blocks” can lead to additional surface melt on the Greenland ice sheet, as well as “persistent weather patterns both upstream (North America) and downstream (Europe) of the block. “Persistent weather can result in extreme events, such as prolonged heat waves, flooding, and droughts, all of which have repeatedly reared their heads more frequently in recent years”, Romm concludes. 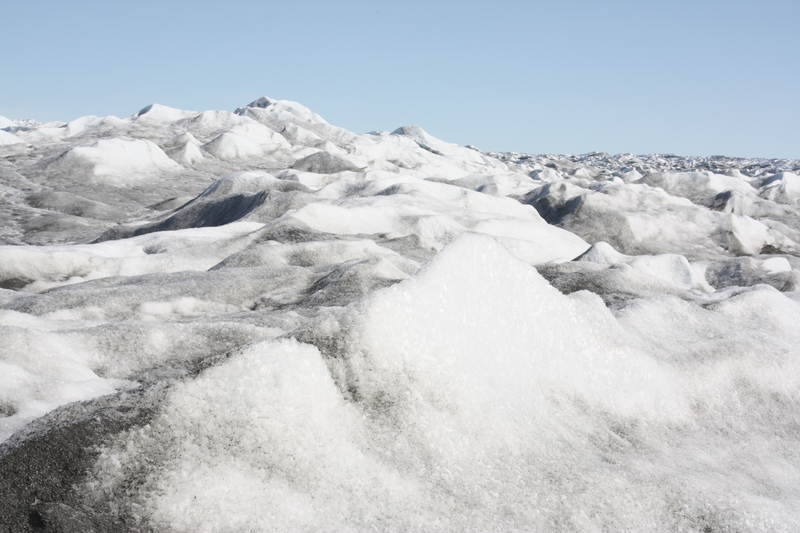 “Greenland melt linked to weird weather in Europe and USA” is the headline of an article by Catherine Jex in Science Nordic. 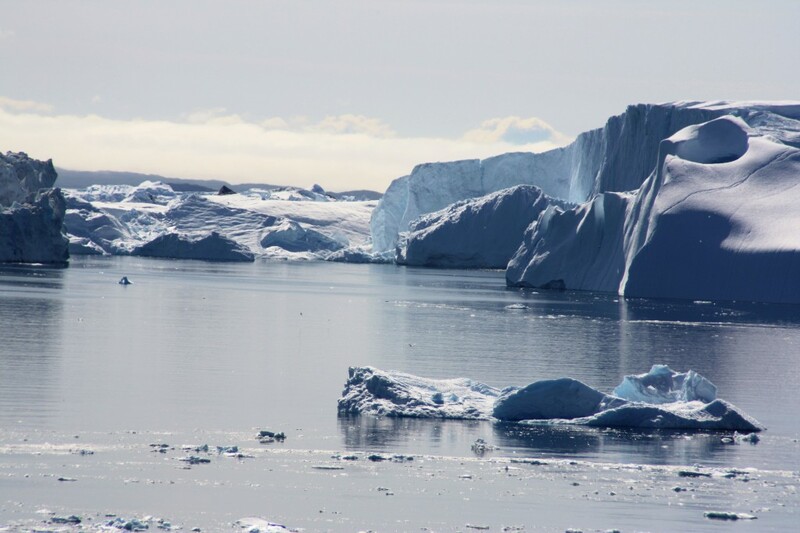 People are usually interested in changes in the Greenland ice sheet because of its importance for global sea level, which could rise by around seven metres if it were to melt completely. But Jex also draws attention to the significance of changes to the Greenland ice for the Earth’s climate system as a whole. “Some scientists think that we are already witnessing the effects of a warmer Arctic by way of changes to the polar jet stream. While an ice-free Arctic Ocean could have big impacts to weather throughout the US and Europe by the end of this century”. She also notes some scientists warning of “superstorms”, if melt water from Greenland were eventually to shut down ocean circulation in the North Atlantic. The site contains an interactive map to indicate how changes in Greenland and the Arctic could be driving changes in global climate and environment. The jet streams drive weather systems in a west-east direction in the northern hemisphere. They are influenced by the difference in temperature between cold Arctic air and warmer mid-latitudes. With the Arctic warming faster than the rest of the planet, this temperature contrast is shrinking, and scientists say the jet streams are weakening. Jex quotes meteorologist Michael Tjernström, from Stockholm University, Sweden: “Climatology of the last five years shows that the jet has weakened,” says. Its effect on weather around the world is a hot topic. One explanation, Jex writes, is that a weak jet stream meanders in great loops, which can bring extremes in either cold dry polar air or warmer wetter air from the south, depending on which side of the loop you find yourself. If the jet stream gets “stuck” in this kind of configuration, these extreme conditions can persist for days or even weeks. Experts have attributed extreme events like the record cold on the east coast of the USA in early 2015, a record warm winter later the same year, and the summer heat waves and mild wet winters with exceptional flooding in the UK to these kind of “kinks” in the jet stream. 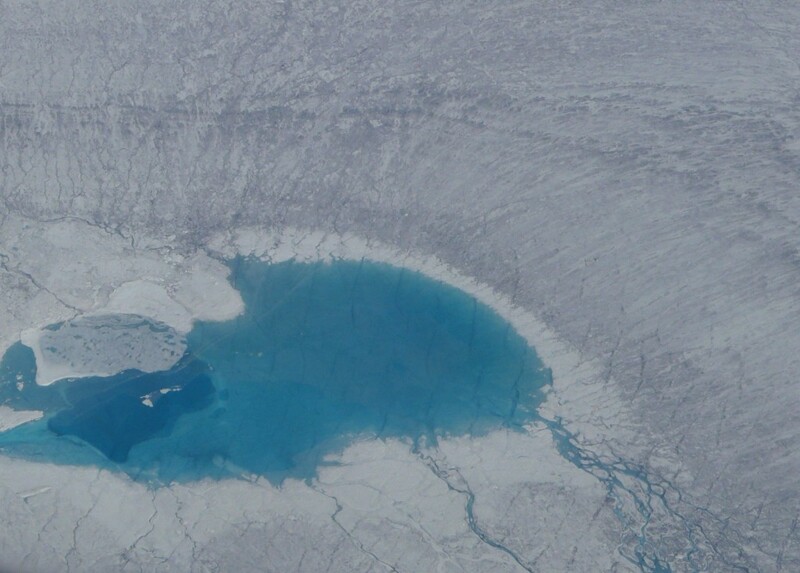 The changes to Greenland’s vast land ice sheet also have consequences for ocean circulation, because they mean an influx of the cold fresh water flowing into the salty sea. And the sea off the east coast of Greenland plays a key role in the movement of water, transporting heat to different parts of the world’s oceans and influencing atmospheric circulation and weather systems. Although this extreme scenario is currently considered unlikely, research does suggest that the major influx of fresh water from melting ice in Greenland and other parts of the Arctic could slow the circulation and result in cooler temperatures in north western Europe. Jex goes into the theory of a “cold blob” of ocean just south of Greenland, where melt water from the ice sheet accumulates. Some scientists say this indicates that ocean circulation is already slowing down. The “blob” appeared in global temperature maps in 2014. While the rest of the world saw record breaking warm temperatures, this patch of ocean remained unusually cold. According to a recent study led by James Hansen, from Columbia University, USA, the ‘cold blob’ could become a permanent feature of the North Atlantic by the middle of this century. Hansen and his colleagues claim that a persistent ‘cold blob’ and a full shut down of North Atlantic Ocean circulation could lead to so-called ‘superstorms’ throughout the Atlantic. And there is geological evidence that this has happened before, they say. But the paper was controversial and many climate scientists questioned the strength of the evidence. However, some scientists already attribute western Europe’s warm and wet winter of 2015 to the “cold blob”, Jex notes, which may have altered the strength and direction of storms via the jet stream. The UK’s Independent goes into a new study by researchers at Sheffield University, which indicates soaring temperatures in Greenland are causing storms and floods in Britain. The Independent’s author Ian Johnston says the study “provides further evidence climate change is already happening”. It never ceases to amaze me that evidence is still being sought for that, but, clearly, there are still those who are yet to be convinced our human behavior is changing the world’s climate. So every bit of scientific evidence helps – especially if it relates to that all-time favourite topic of the weather. The study also looks at the static areas of high pressure blocking the jet stream. With amazing temperature rises of up to ten degrees Celsius during winter on the west coast of Greenland in just two decades, it is not hard to imagine how this can effect the jet stream, and so our weather in the northern hemisphere.” If forced to go south, the jet stream picks up warm and wet air – and Britain can expect heavy rain and flooding. If forced north, the UK is likely to be hit by cold air from the Arctic”, Johnston writes. The article quotes Professor Edward Hanna from the University of Sheffield, lead author of a paper about the research published in the International Journal of Climatology, and says seven of the strongest 11 blocking effects in the last 165 years had taken place since 2007, resulting in unusually wet weather in the UK in the summers of 2007 and 2012. Hanna told the Independent computer models used 10 to 15 years ago to predict the extent of sea ice in the Arctic had significantly underestimated how quickly the region would warm. “It’s very interesting to look at the observed changes in the Arctic … the actual observations are showing far more dramatic changes than the computer models,” Professor Hanna said. “There are a more complex set of variables affecting the ice sheet than experts had imagined. 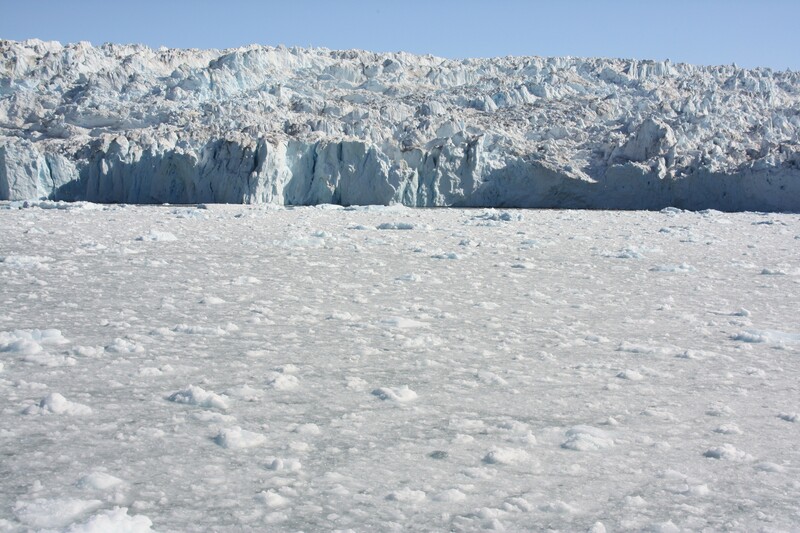 A recent set of scientific papers have proposed a critical connection between sharp declines in Arctic sea ice and changes in the atmosphere, which they say are not only affecting ice melt in Greenland, but also weather patterns all over the North Atlantic”. So what do we learn from all of this? Sometimes I ask myself how many times we have to hear a message before we really take it in and decide to do something about it. Here in Bonn, not far from the office where I am sitting now, the first round of UN climate talks since the Paris Agreement at the end of last year will be kicking off this coming weekend. The aim is to stop the rise in global temperature from going about two, preferably 1.5 degrees C. We have already passed the one degree mark. In an interview with the Guardian this week, the head of the IPCC Hoesung Lee says it is still possible to keep below two degrees, although the costs could be “phenomenal”. But many scientists and other experts are increasingly dubious about whether emissions can really peak in time to achieve the goal. Current commitments by countries to emissions reductions still leave us on the track for three degrees at least. The concentration of greenhouse gases in the atmosphere is, as the Guardian puts it, “teetering on the brink of no return”, which the landmark 400 ppm measured for the first time at the Australian station at Cape Grim and unlikely to go below the mark again at the Mauna Loa station in Hawaii. at an Arctic Frontiers conference in Tromso, Norway. How much more evidence do we need? Science takes a long time to research, evaluate and publish solid evidence of change and its consequences, with complex review processes. If politicians delay much longer, the pace of climate change will be so fast that action to avert the worst cannot keep up. Meanwhile, that Arctic ice keeps dwindling – and I sense another major storm on the approach. 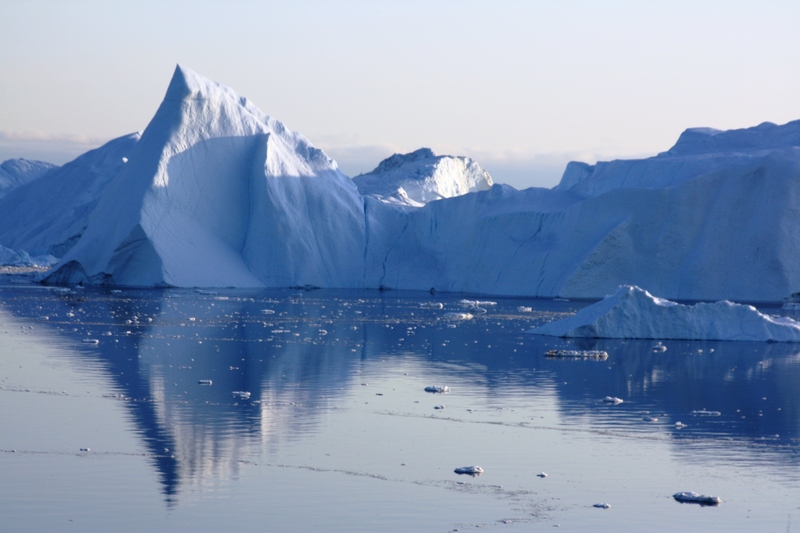 With Greenland known to be one of the main contributors to global sea level rise, mainly through increased meltwater runoff, it is hardly surprising that there is increasing and widespread scientific interest in finding out exactly what factors influence the melting and to what extent. 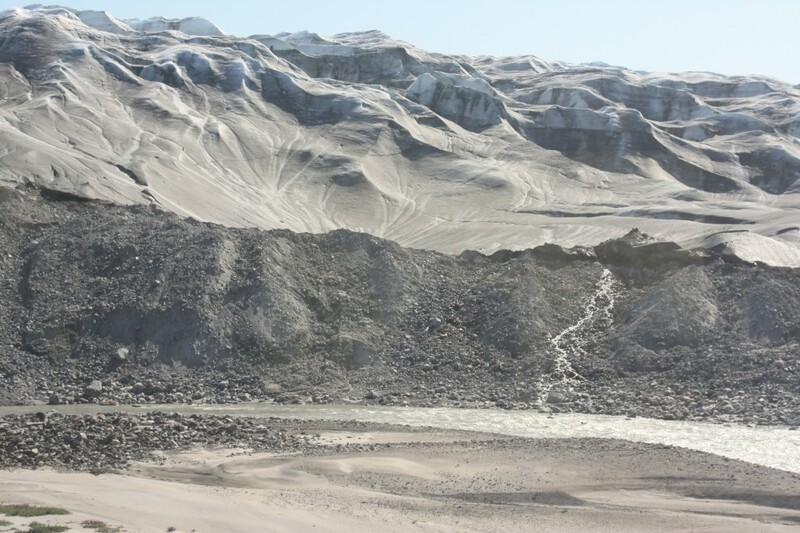 Approximately half of Greenland’s current annual mass loss is attributed to runoff from surface melt. 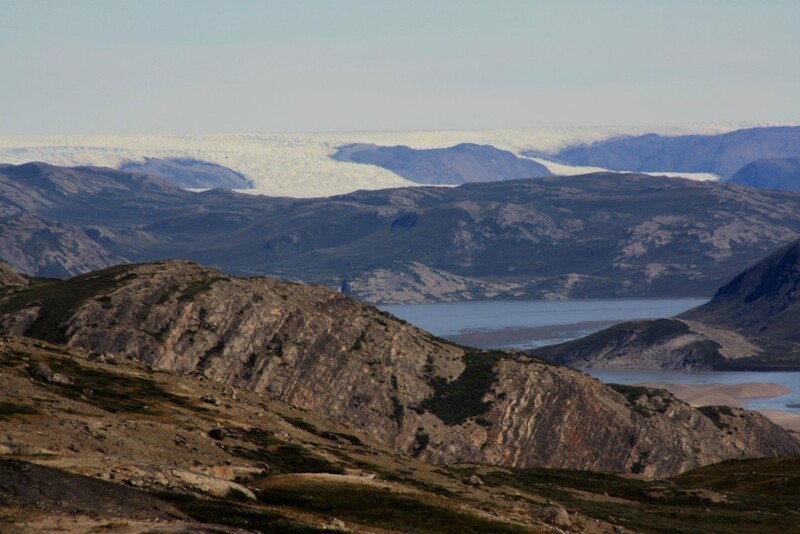 In my last Ice Blog post, I looked at a study showing that recent atmospheric warming is reducing the ability of some layers of the Greenland ice sheet to store meltwater. That, in turn, can mean runoff is released into the ocean faster than previously assumed, rushing down a kind of icy chute. This week, a study led by the University of Leuven in Belgium was published in Nature Communications that suggests that clouds are playing a greater role in this whole process than previously thought. The study concludes that clouds could be enhancing meltwater runoff by about a third relative to clear skies. The scientists used a combination of satellite observations, ground observations, climate model data and snow model simulations. The impact is not just because the radiative effect of the clouds directly increases surface melt, but because the clouds actually reduce meltwater refreezing at night. They trap heat like a kind of blanket. 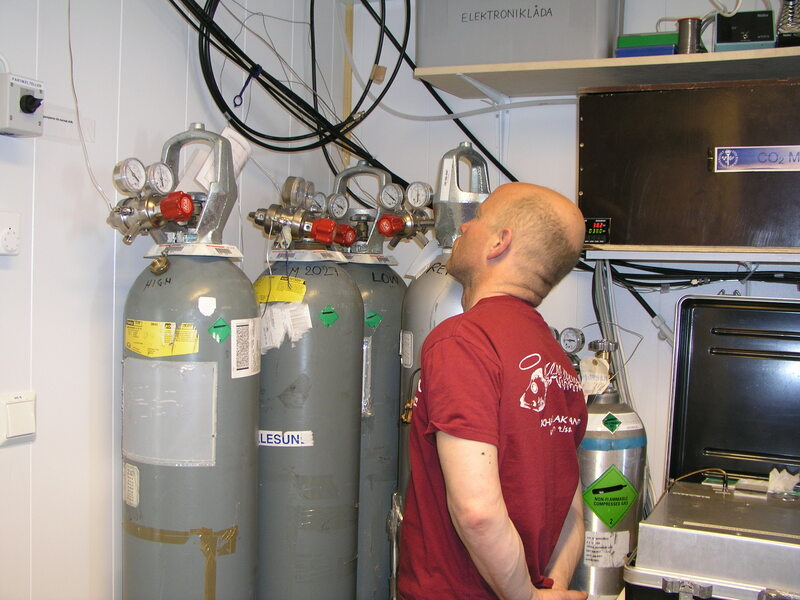 Tristan L’Ecuyer, professor in the Department of Atmospheric and Oceanic Sciences at the University of Wisconsin-Madison and co author of the study, is quoted on the phys. Org science website as saying we could be dealing with another foot of sea level rise around the world over the next 80 years. “Parts of Miami and New York City are less than two feet above sea level; another foot of sea level rise and suddenly you have water in the city”, he warns. L’Ecuyer stresses that clouds are still not adequately accounted for in climate models. He also stresses that climate models have not kept pace with the rate of melting actually observed on the Greenland ice Sheet. Improved satellite coverage is improving the situation. L’Eciyer is affiliated with the UW-Madison Space Science and Engineering Center, a pioneer institute in satellite meteorology. Within the last 10 years, NASA has launched two satellites which, L’Ecuyer says, have changed our view of what clouds look like around the planet. 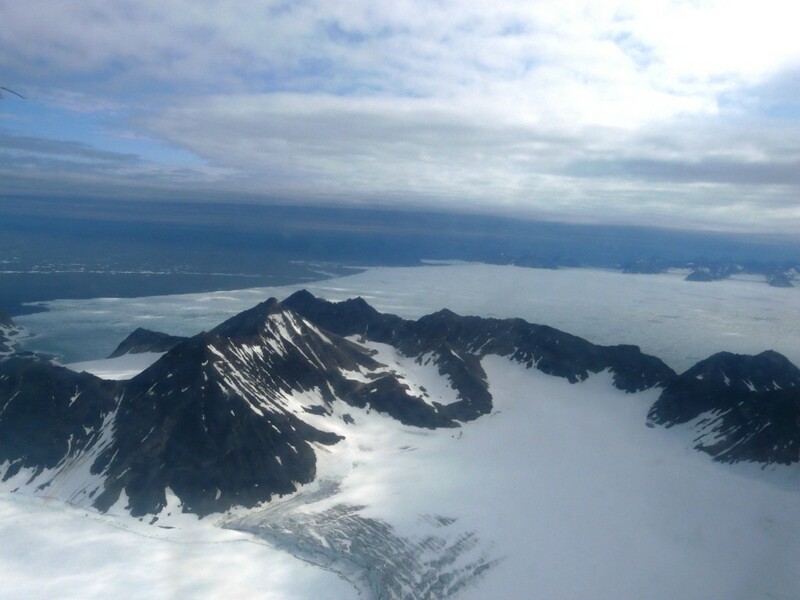 He used “X-ray images” of Greenland’s clouds taken by CloudSat and CALIPSP between 2007 and 2010 to determine the structure of clouds, how high they were in the atmosphere, their vertical thickness and whether they were composed of ice or liquid. 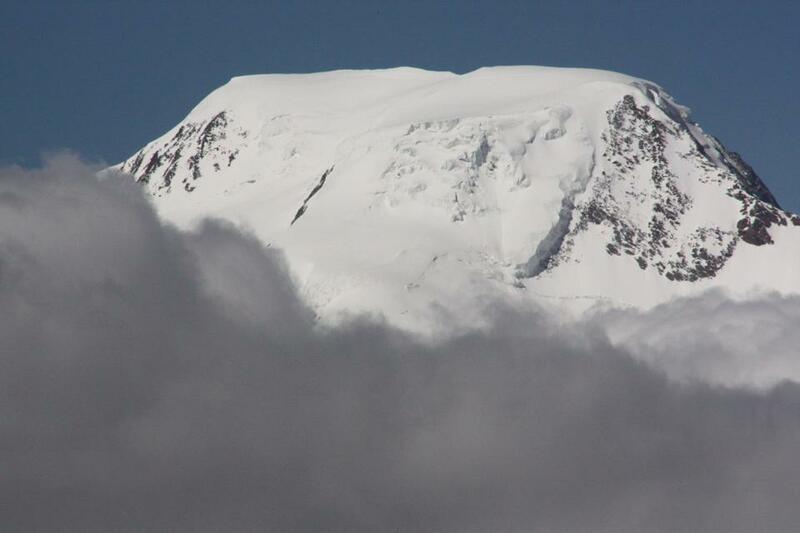 The Belgian team combined this data with ground-based observations, snow model simulations and climate model data to map the net effect of clouds. This indicated that cloud cover prevents ice that melts in the daytime sunlight from refreezing at night. That, in turn, flows off as meltwater. 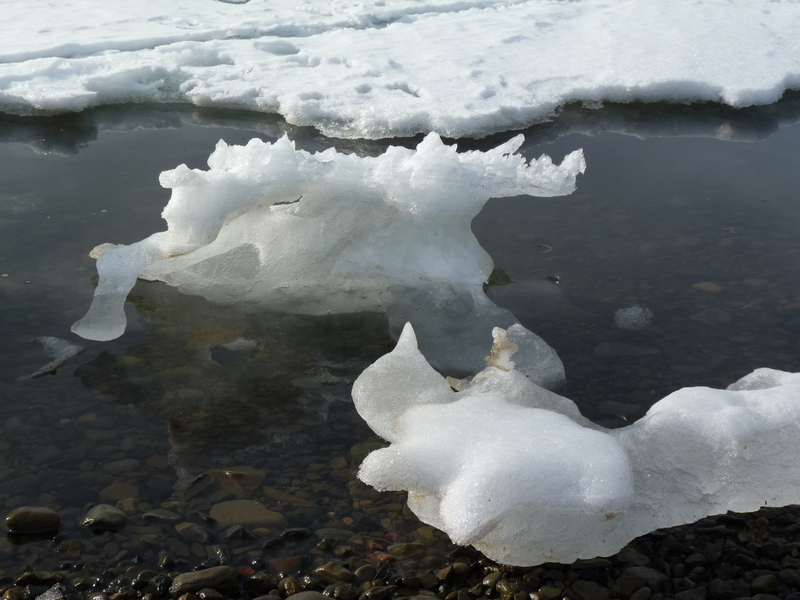 The lead author of the study, Kristof Van Tricht from the University of Leuven, who spent six weeks in Madison last year working with L’Ecuyer, uses the sponge image to describe the snowpack. “At night, clear skies make a large amount of meltwater in the sponge refreeze. When the sky is overcast, by contrast, the temperature remains too high and only some of the water refreezes. 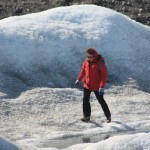 As a result, the sponge is saturated more quickly and excess meltwater drains away”. Clouds can cool the earth’s surface by reflecting sunlight back into space. Or they can trap heat like a blanket. 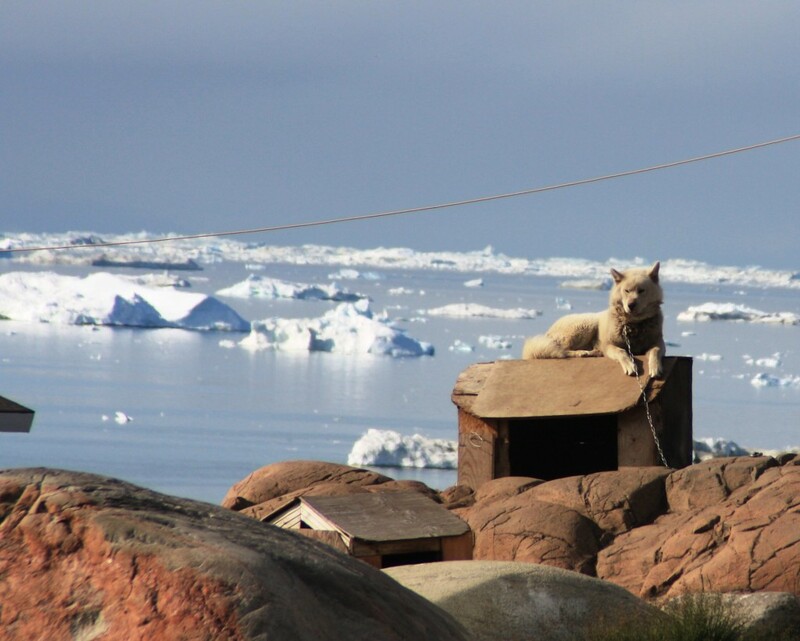 On Greenland, scientists agree that clouds primarily act to trap heat. As with so many climate phenomena, clouds can both affect the climate, and be changed by it. 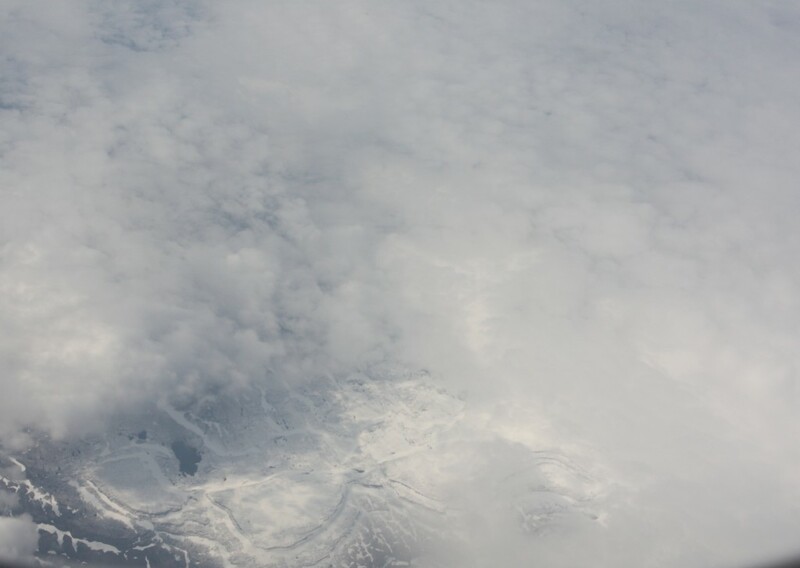 While on the one hand cloud cover can lead to more warming and more meltwater, the resulting effect on the ice sheet can, in turn, affect the cloud cover itself. The scientists hope studies like this one, making use of advanced satellite technology, can help make future climate models become more accurate by taking this into account. To date, different models disagree on how clouds affect the largest body of ice and so freshwater in the northern hemisphere.